Can Data Mining Be Used For Disease Tracking? Data mining has become a topic of heavy debate over the years, as many find it intrusive of their personal habits and information. While many arguments are made on either side of the debate, an interesting new spin on the use of data mining has come to the table. 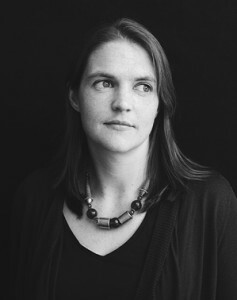 Epidemiologist Caroline Buckee of the Harvard School of Public Health in Boston, has uniquely forecasted data mining trends to track the spread of malaria across regions near Lake Victoria in Africa. From her research of data towers, Caroline has been able to interpret cell phone usage information to track the spread of the life-threatening disease. How was she able to do this simply by studying these cell data figures? The first step was tracking the largest data tower in the region to study the travel patterns of people to and from areas near Lake Victoria. What Caroline discovered, is that those people making calls or sending texts from the main tower were traveling 16 times more than others in the region. Additionally, this same group of individuals were 3 times as likely to travel to Lake Victoria. With higher exposure to the area of water and surrounding tea plantation, these travelers were prone to getting bites from nearby mosquitos and inadvertently spreading the disease at an increased rate. In hopes of alleviating future epidemics, Caroline plans to not only map out additional affected zones with this knowledge, but to also help prevent the spread by informing the population of nearby danger zones. The goal is to be able to use data extracted from cell towers to send preventive messages to travelers in compromised areas via their devices. These alerts can inform people of areas to avoid and safety measures to help contain diseases, such as areas where mosquito netting is a necessity. We are curious to see what other ways technology can be used in fields and even countries we didn’t think about before. In a topic that angers most consumers, this is a new spin that is definitely going to change the field.